Everyone says you should start saving for retirement as early as possible, but what are the yearly benchmarks and important considerations to make each time you hit 20, 30, 40 years old and beyond? In order to protect your investments and ensure a stable and comfortable retirement, you must reevaluate how you’ve been saving for retirement each time you reach significant age milestones. Take time to look into different retirement plans or investment options, and also consider the approximate balances in your cumulative retirement funds relative to your specific age bracket. You should equate your balances to an established savings rate that will provide you with a consistent and pleasant standard of living as you move into your retirement years. Let’s break it down by age bracket and discuss the factors that should drive your investment decisions. Age 20-30: You’re in what is often considered to be the most critical phase of the retirement spectrum, simply because a dollar invested at age 20 is worth significantly more than one invested at age 30 (thank you, compound earnings!) You can afford to be a little riskier with your investable dollars since you’re a long way off from retirement, too. Experts suggest you should have one times your annual salary in savings (investments) by age 30, so maximize your 401k from day one, if available. Age 30-40: You’ll want to open an IRA during these years, as you’re likely making more money than you did in your 20s. Consider increasing your 401k contributions during this time in your life. If you keep your standard of living consistent and don’t go overboard, you may be able to take any raises you earn during this decade and simply increase your 401k contributions to shift the extra dollars earned into a tax-deferred investment account. Depending on your specific tax and employment situation, a Roth IRA might make sense, too. By age 40, you will want at least two times your annual salary in savings. Age 40-50: Believe it or not, this decade is often a difficult one for investors because there are so many expenses one can face between age 40 and 50. College tuition for kids, ongoing housing expenses, increased medical care costs, and other family related expenses can chip away at a family’s disposable income and may push investors to reduce contributions to their retirement accounts. Resist this temptation at all costs, as the long-term ramifications can be quite severe to your retirement account balances. If you start a 529 college savings plan in your early 40s, you may have enough to help your kids pay for school without having to resort to costly student loans. Goals for this age bracket: bump up your investments and maximize the 529 plan if you’re considering paying for tuition. Aim to have four times your annual salary in savings by the time you’re 50. Age 50-60: It is time to think seriously about your retirement goals. Assess your present financial state, where you want to be at retirement, and what it will take to get you there. To minimize tax burdens later, consider contributing the maximum allowable amount to your IRA. You’ll want to balance your more volatile investments, so rebalance your portfolio to consider investments like gold, silver, palladium, and other precious metals. By age 60, you’ll want approximately six times your annual salary in your savings and investment accounts. Retirement: Once you decide to retire, all the hard work and strategic forethought you put into your investment portfolio will truly pay off. 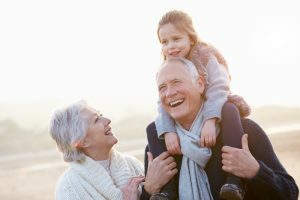 Aim to have at least eight times your annual salary in your retirement account by the time you hit 67, and you’ll position yourself for a safe and comfortable retirement throughout your golden years. For more information about creating a solid investment strategy using gold IRAs, contact the gold IRA experts today at American Bullion.